I've run out of new ways to decorate using the same ole egg dying kit year after year. 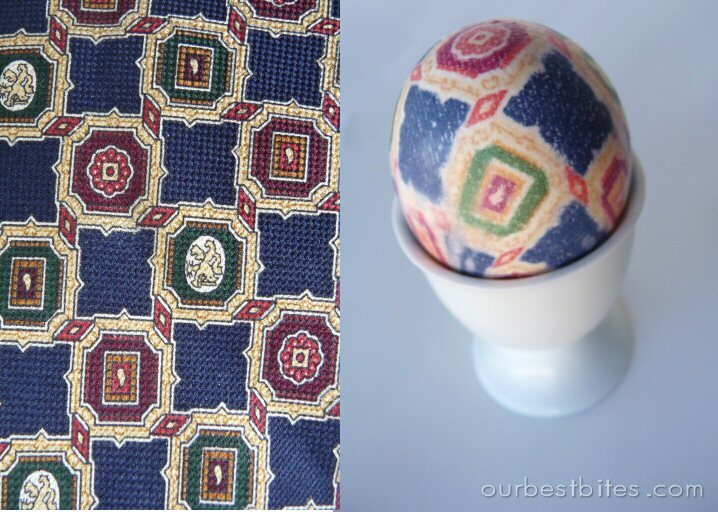 What surprised me the most about this blog post I found this week, was that the best looking egg patterns came from what I considered the 'ugly' ties. The picture pretty much sums it up. Check it out!